The Lytro Illum is a new professional Light Field Camera that lets you create "Living pictures" that can be re-focused after shooting. We have a look at the Lytro Illum with V2 of the camera software. 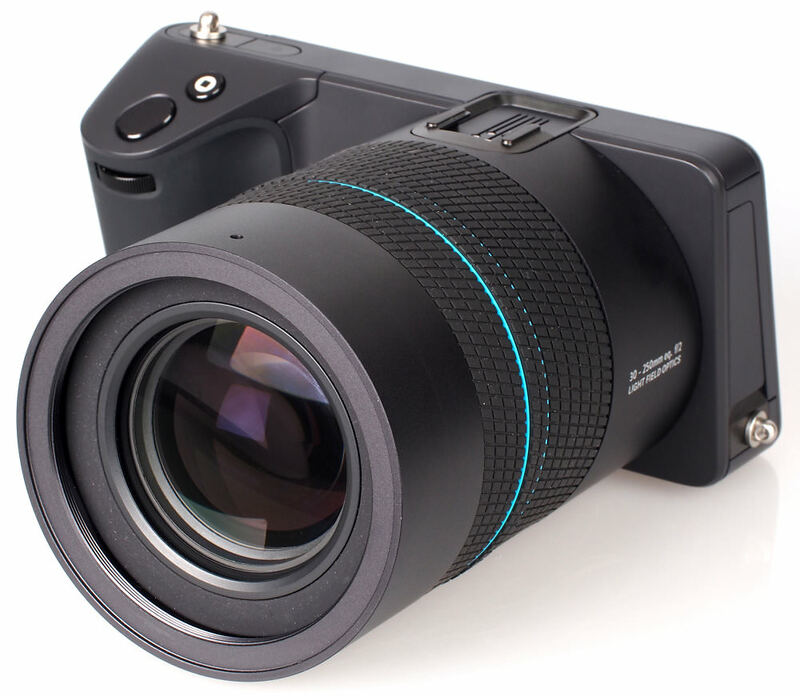 The Lytro Illum is the "Professional Light Field Camera" from Lytro, the second generation, after the first consumer orientated Lytro Light Field Camera, that's said to give almost 4 times as much detail as the original due to the use of a new larger sensor. 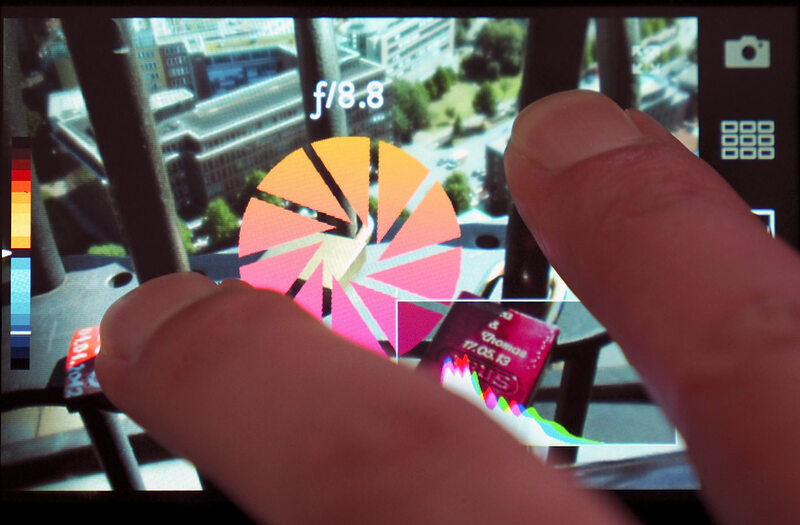 The camera is designed to create "Living Pictures" photos that you can interact with. 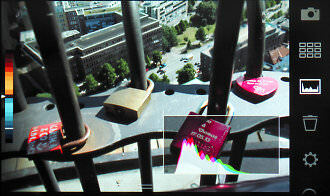 Ultimately, the images are designed to be viewed on an electronic screen, either a computer, smartphone or tablet. 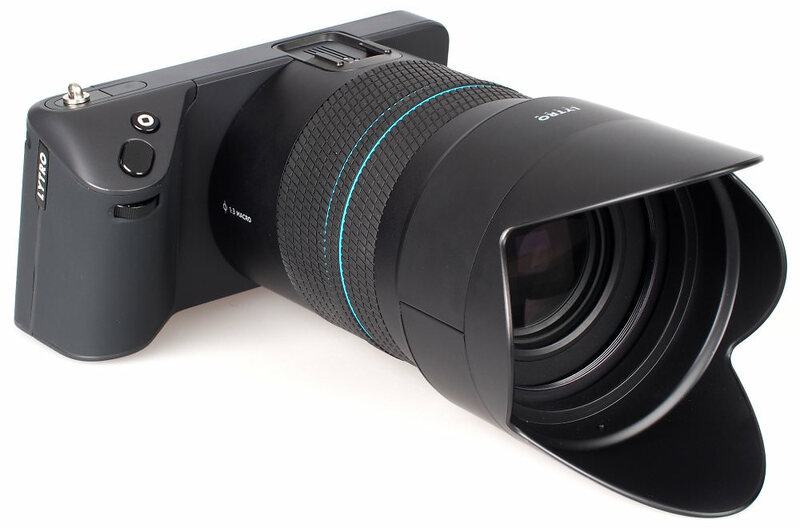 Here we're having a fresh look at the Lytro Illum, after the camera has been updated with the latest firmware, as well as the latest Lytro Desktop software. 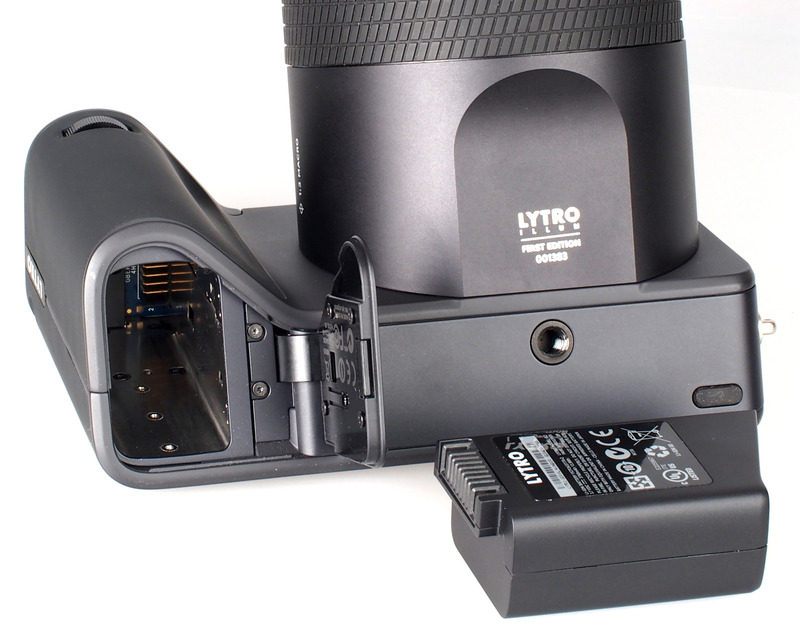 At the heart of the Lytro Illum is the Lytro Light Field Sensor that features a microlens array made up of thousands of tiny lenses designed to record and measure light from multiple directions. Developed by Ren Ng, founder of Lytro, the Light Field Technology is what allows you to refocus images after taking them, as well as alter perspective and generate 3D images from photos. The camera has a 4inch tilting touchscreen, which lets you re-focus photos in playback mode. When taking photos there are a number of options on the right-hand side of the screen that can be controlled with the touch-screen, and there is a depth scale to let you know the distance that is focused on, including the amount of re-focus scope available. The bottom features the information bar with camera settings such as ISO, shutter speed, exposure compensation, focal length, remaining shots and battery life. 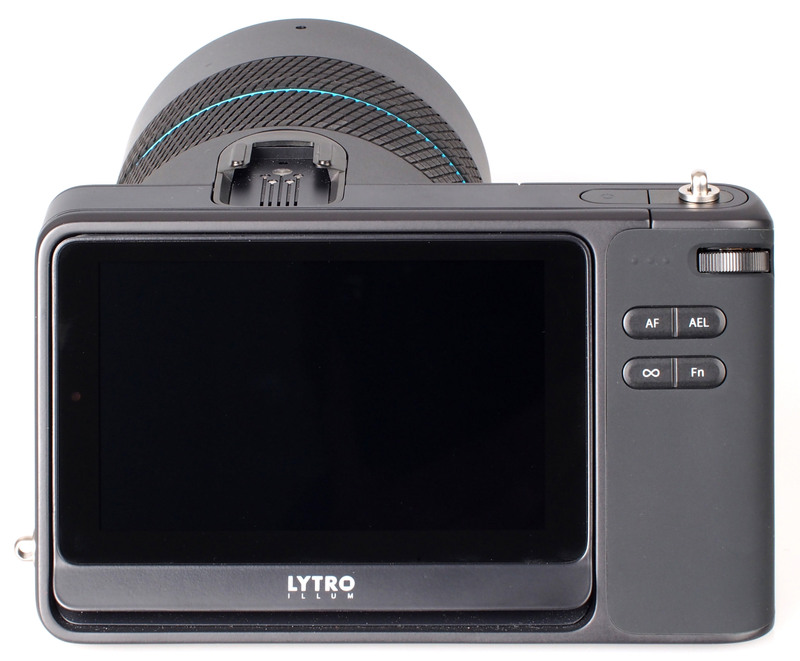 A number of learning videos are provided on the Lytro website to help you get the best from the camera, and in many ways you will need to rethink how you take photographs and what you are taking photographs of. If you mostly take landscape shots where everything is on a single focal plane (all the same distance away from you, or at infinity focus) then you will not see much benefit in using the Lytro Illum. Instead, you would be best using the Lytro Illum for close-ups, portraits, or environmental photos where there are a number of elements in different distances and positions in the photo. 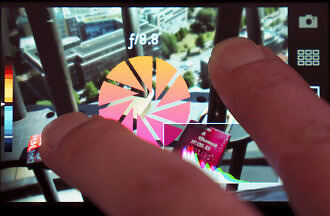 You can use the touch screen to control the camera with menu items on the right-hand side of the screen. These often have a submenu with additional options, with the main shooting modes being P / I (ISO priority) / S / M, and thanks to the large clear screen these options are easy to see and use. You can customise the lens rings and control dials, as well as the buttons on the camera, including the order of options displayed in the menu bar on the screen. You can also set the focus point with the touch-screen and it's possible to use any area of the screen, even into the far corners. The camera is quite large but feels very well built with a soft textured, rubberised hand grip that extends from the front of the camera, around the hand-grip and all the way to the back of the camera, where your thumb rests. The camera is provided with a wide, colourful, neck strap that attaches to the strap loops on the camera. Once you get used to the controls on the camera, which includes a front and rear command wheel, then the camera becomes quite quick and easy to use, with the large clear screen responsive in use. There are two main ways of shooting with the camera, the default (above left) shows you the focus distance and range on the right hand side of the screen in metres and centimetres, and gives you a clear view of what you are photographing. 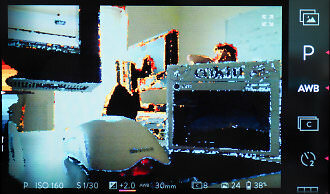 The second way (above right) is to use the Lytro button, and this will overlay the screen with orange and blue outlines, showing you the re-focus area, with the orange area in the distance, and the blue area in the foreground, much like focus peaking. Once focused you can use the focus ring to alter the focus area if you want to have more or less of the foreground in the re-focus area. This gives you very good control over the area of re-focus, with a histogram on the right showing the areas inside and outside the refocus area. However, this can make focusing properly quite time-consuming. With a fixed f/2 aperture, to enable slower shutter speeds or longer exposures the camera is provided with an ND8 filter that fits onto the front 72mm filter thread, and this can be necessary when shooting outdoors on bright sunny days. 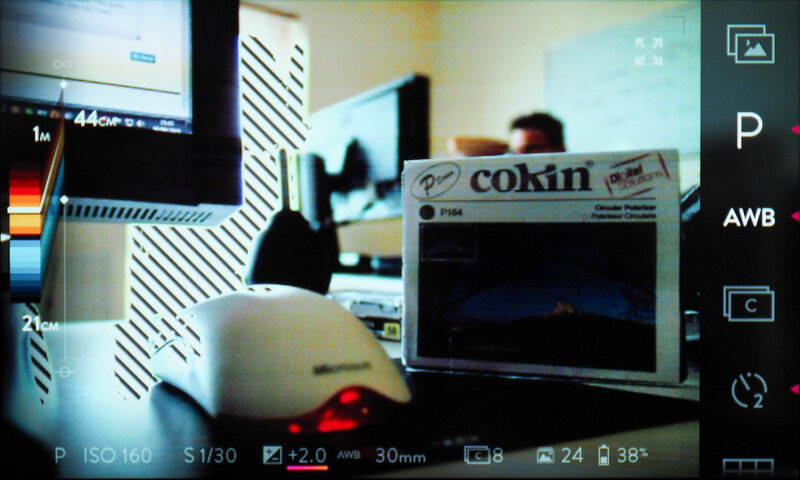 In playback on the camera, you can change the focus point simply by pressing the area on the screen. Using the camera with the updated V2 firmware, you can alter the aperture to give a shallow depth of field or have the whole photo in focus, as well as alter the perspective view. 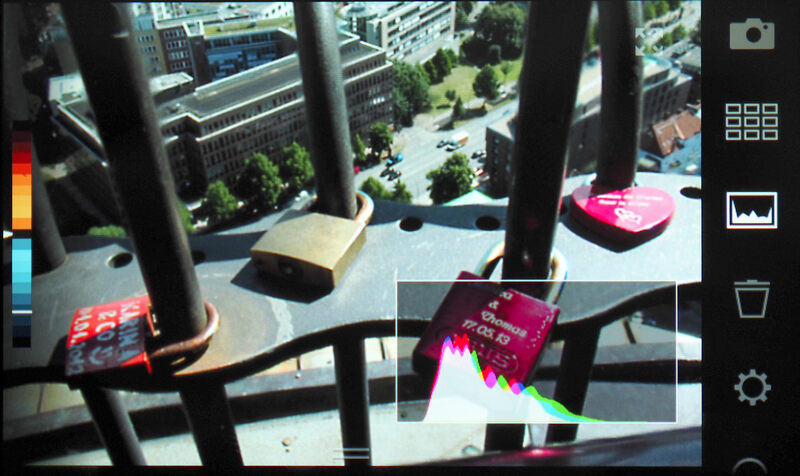 The camera has built-in Wi-Fi and can be connected to iOS devices, with an Android version of the software to follow. Lytro Library view - click to view full size. The Lytro Desktop software v4.3, has been updated to include an "Unprocessed" view, letting you know which are unprocessed, and from this you can choose to process individual images or the entire collection, and this could be set to run at a time when you aren't using your computer. 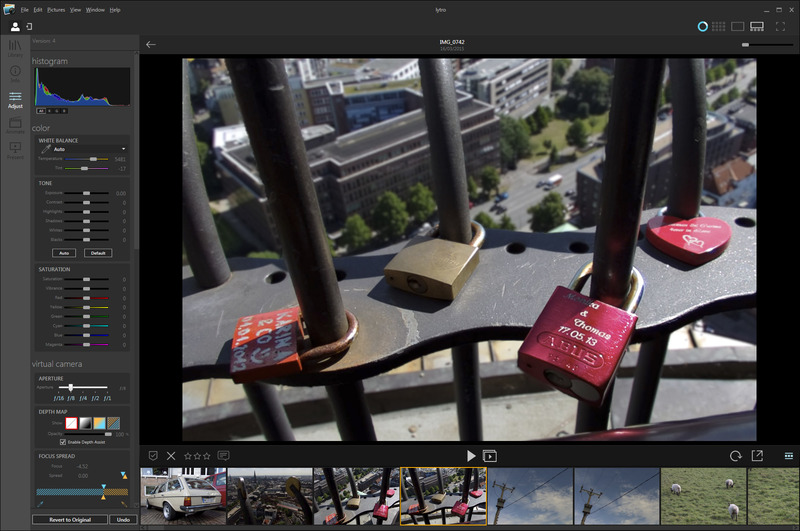 This means you can more quickly import images into the Lytro Desktop software, without having to process unwanted images. 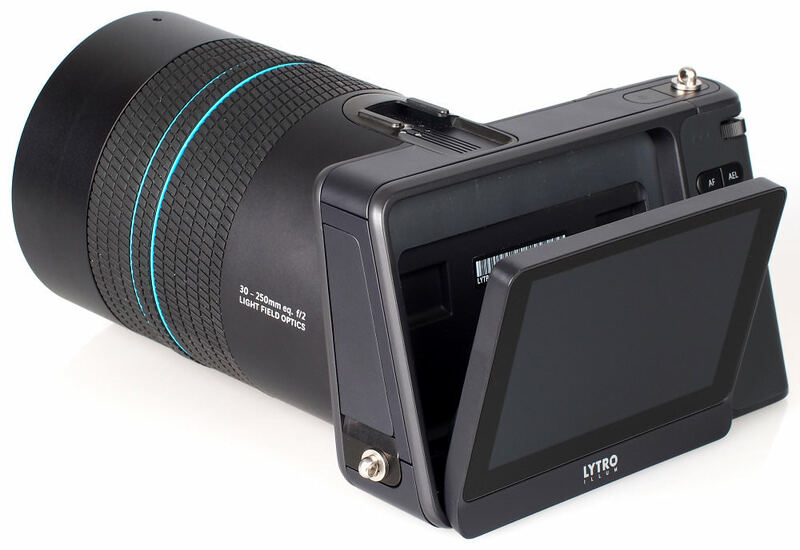 Lytro Adjust (all in focus, f/16) - you can adjust the aperture simply by sliding the aperture slider. You can adjust the aperture in the Lytro Desktop software, from f/1 to f/16, giving you either a very shallow depth of field or an image with everything in the shot in focus. Beyond adjusting the aperture, you can also tilt and rotate the focal plane, create cinematic animations, view images in 3D and share images. 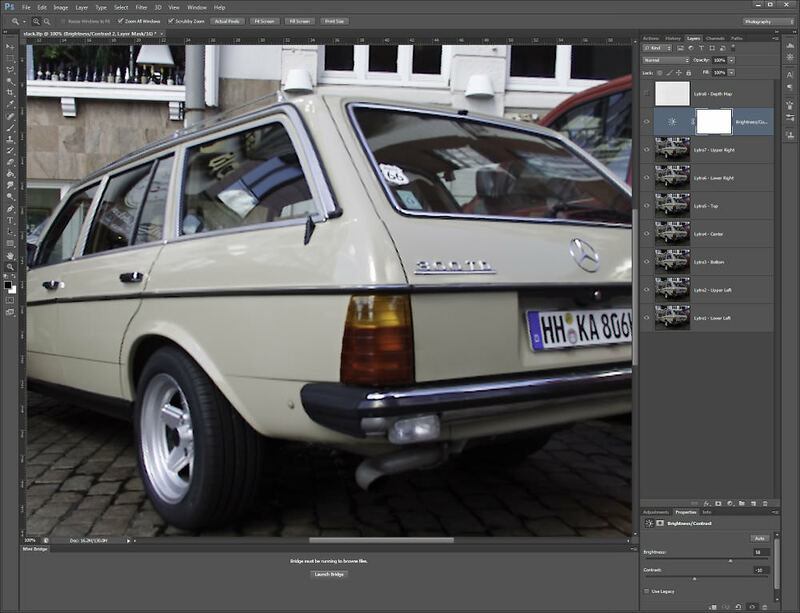 There are the usual adjustments available that are found in most image editing applications including white balance, exposure, contrast, whites, blacks, highlights, shadows, saturation, vibrance and noise reduction. Other updated options include: Auto tone, updated sharpening options give additional controls, Defringe correction has been added to enabled chromatic aberration correction, Built in lens flare reduction, Improved cropping tool plus Depth map editing. 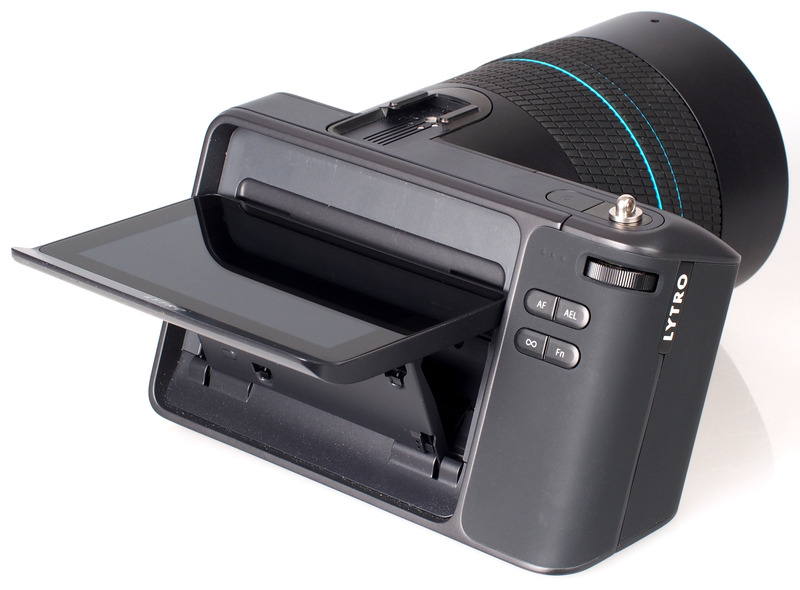 Lytro Animate - there are a number of animation options and effects available here. 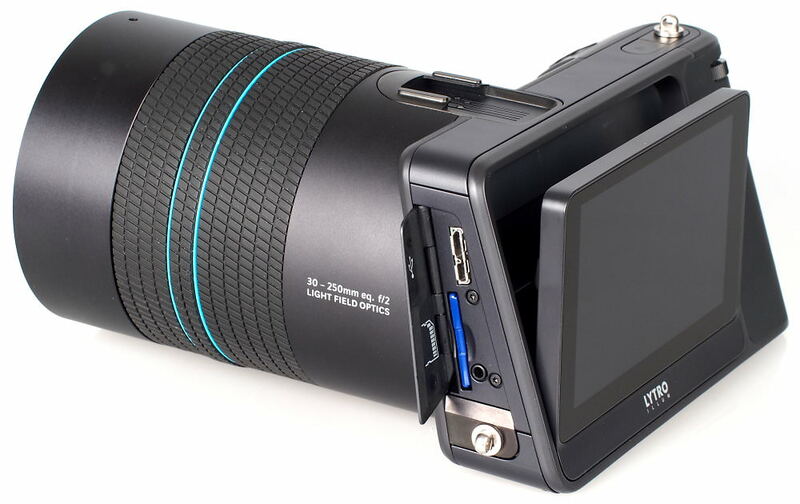 Lytro Present 2D / 3D viewing modes. 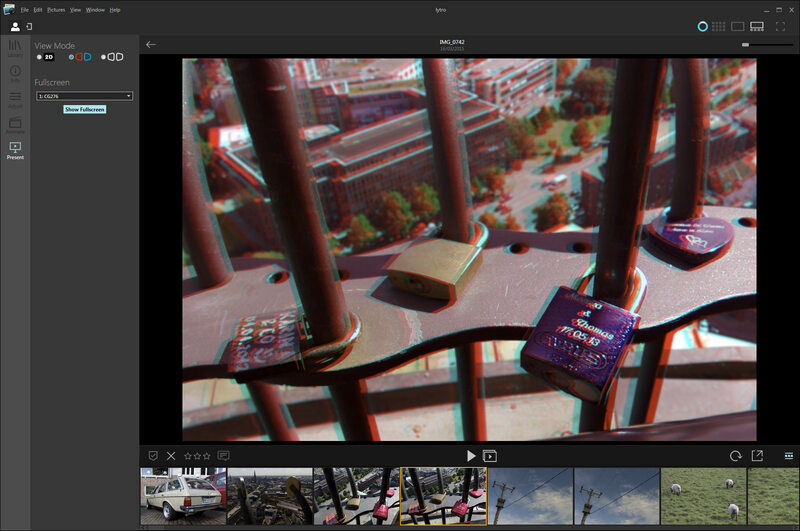 You can share your photos onto the Lytro website where they are embedded in a Lytro viewer that allows you to set the focus position, alter perspective or view an animated version of it. 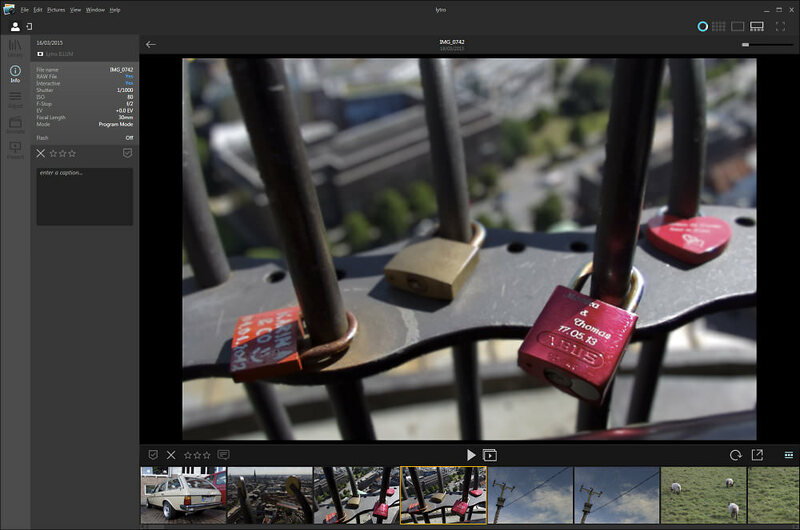 There are built in options to share the images to 500px, Facebook and the Lytro website. Once on the Lytro website, they can also be shared with facebook, twitter and other social networks, or embedded into a webpage. Sharing the images onto the Lytro website is the quickest way to get an interactive living picture. 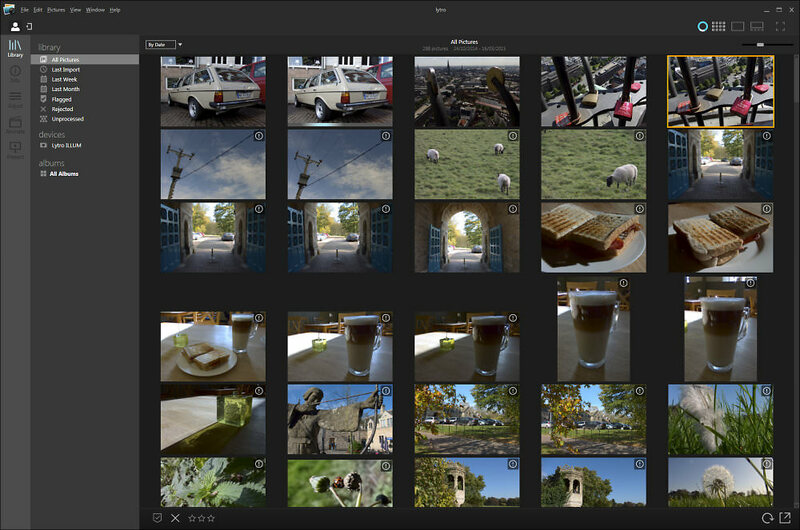 As the Lytro raw files are around 53MB in size, a large memory card is recommended and importing photos from the Lytro Illum camera into the Lytro Desktop software can take quite a while. You can get a better idea of what the software is doing and how much progress is being made creating movies, for example, by selecting the "Show activity" option from the Window drop down menu. Creating videos from the animate section of the software is quite time consuming. The Desktop software requires OS X 10.8.5 (or greater) with a Core 2 Duo or newer, or 64-bit Microsoft Windows 7/8, a dual-core processor, and a minimum of 4GB of ram is recommended, although 8GB, and a Core i5 based computer is recommended and the more the better as the Lytro Desktop software uses a lot of memory and can be quite slow in use at times on lower specification computers. There is a more detailed list of requirements available on the Lytro website. 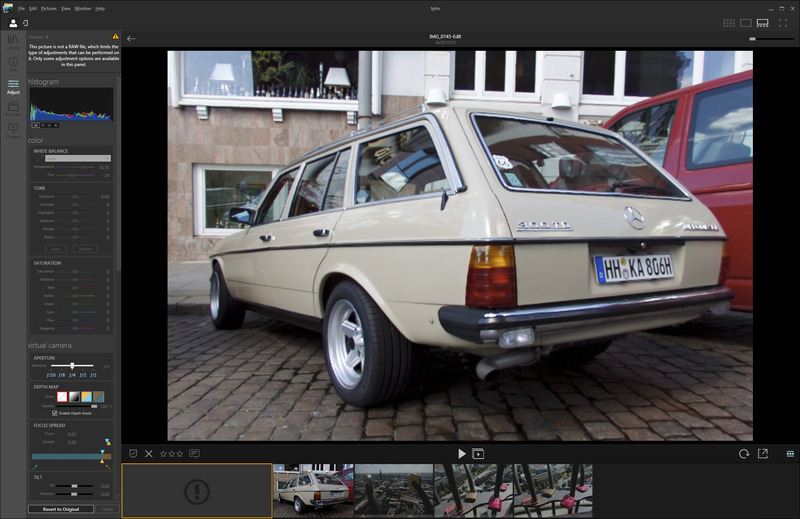 Editing in Photoshop / Lightroom: New! To edit an image in Photoshop, you go to the single picture view, select Pictures from the top menu, and then select Edit in Photoshop. Lytro recommend using adjustment layers to apply effects to all of the layers in Photoshop, and have a detailed guide on how to work with Lytro images in Photoshop on the Lytro website. Once you've got the image back into Lytro Desktop, after making changes in Photoshop, you then have less adjustment options available, as Lytro Desktop is no longer dealing with the original raw Lytro image file, but has made a duplicate of the image leaving the original raw image as it was. If you've shot an image with an earlier version of the camera or from an earlier library with a different version of the desktop software, it's possible to update the image to work with the newer software. The desktop software automatically tells you when this is needed so that you aren't left confused as to why you can't adjust all of the settings. Video files are exported as 720p or 1080p videos from the animate section of the Desktop software, with the lower resolution videos quicker to export. They have a resolution of 1080 by 720 (at 30fps) and 1620 by 1080 (at 30fps). The quickest way to share images, that are interactive, is to share them to the Lytro website where the webpage will automatically give the option of a quick animated version of the photo. Battery life - The battery can be charged in the camera over USB, or alternatively with the charger provided, which is a quicker way of charging the battery. The battery is a large 3760mAh battery which should give a good battery life and we were able to use the camera over several days before the battery warning came on. The battery life is displayed as a percentage so that you have a very good idea of how long you have left shooting. Speed - The original Lytro would take photos instantly with no need to focus unless you really wanted to, whereas the new Lytro Illum does focus, giving you direct control over the area in focus. 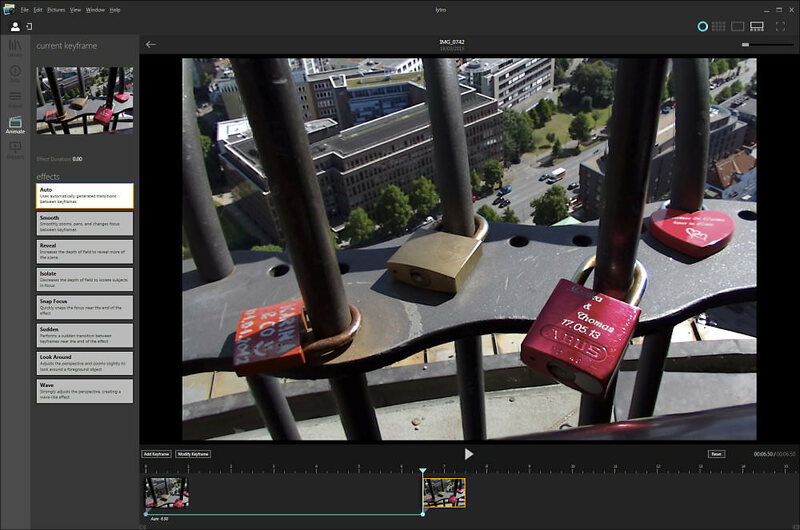 Focus speed has been improved with V2 of the Lytro Illum firmware. It's also quick to use the focus ring on the lens to manually override the focus. Switch on time is good, although it is slower if you have taken the battery out of the camera or let the battery run completely flat. The camera will shoot at 3fps when in continuous shooting mode and a fast memory card is recommended due to the large file size of the images. Another Con - the awful awful viewer software, a few seconds ago because I scrolled down the page it activated all the images and made my laptop grind to a halt - it's a Quad Core i7 with 16GB RAM! It's also incredibly annoying that you go to look at an image and find it's suddenly zoomed right in and starts slowly zooming out when you expect to see the image that was loaded as a preview - stopped me looking at the images, just too slow to wait for it, incredibly bad UX.